Members of Photoville International (PVI) enjoyed a taste of fresh woodland air where greenies still abound and where “shooting” wild animals is unrestricted, right at the heart of the Metropolis. For its first photowalk of the year 2012, PVI shooters “raided” the Ninoy Aquino Parks and Wildlife Center in Quezon City Elliptical Circle, last January 15, 2012, for a sumptuous feast at the wooden haven best suited for various life activities of men, the wild, and nature bursting with vibrancy. 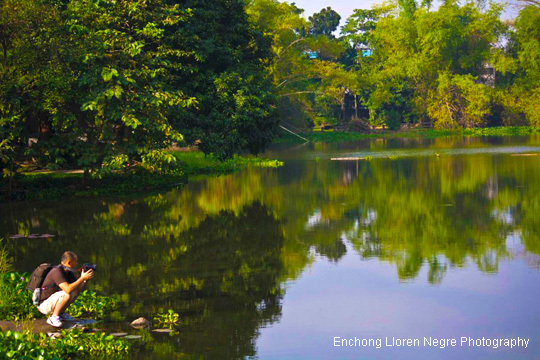 The zoological and botanical garden offered a lagoon, an aquarium, a playground, botanical garden and a Wildlife Rescue Center, which the Department of Environment and Natural Resources (DENR) uses as a temporary shelter for endemic and exotic animals. Since the park is a favorite hangout of lovers, book readers, bonding families, idle visitors, public religious worshipers, students rehearsing plays, among other recreational pursuits, PVI shooters had plenty of subjects to capture. 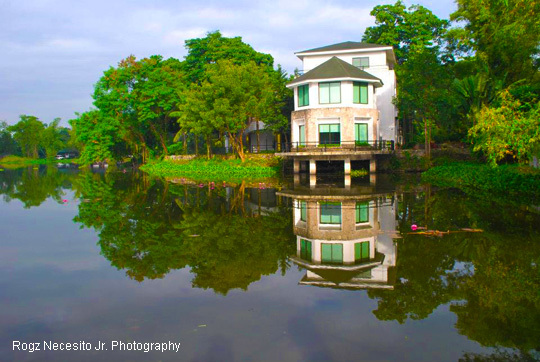 Hence, though the photowalk should have been focused on nature photography, PVI shooters were able to produce shots that challenged their imagination, skill and creativity.